Importer for Carlo Gavazzi India supplying string monitoring system all over India for different kind of projects, solar industry is the booming renewable sector in India, our solar string monitoring system has different features like remote monitoring, cloud computing, anti-theft systems etc. 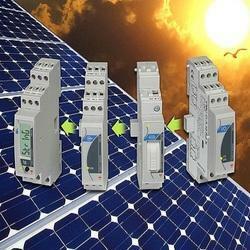 Our Carlo Gavazzi has installed more than 100mw all over the world with the help of our solar string monitoring system. DC energy analyzer unit with built-in 6 digit display and programming push-button, particularly indicated for DC current, voltage, power and energy metering. 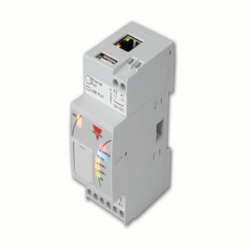 Direct connection up to 20A and with external shunt up to 1000A. Moreover the unit is provide Energy Management Modular DC Energy analyzer Type VMU-E and VMU-X ed with an auxiliary serial communication bus which is connected to the VMU-X unit so to provide an RS485 communication port. Housing for DIN-rail mounting, IP40 (front) protection degree. Carlogavazzi distributor, dealer, supplier Our major customers are presented in all over India.We are covering the following areas like Carlo gavazzi Chennai, Madurai, Fotek Coimbatore, Pondicherry, Carlogavazzi Bangalore/Bengaluru, Hubli, Hyderabad, Vizag, Carlogavazzi Mumbai, Biwadi, Delhi, Pune, Noida, Haryana, Faridabad, Ghaziabad, Carlogavazzi Gujarat, Baddi, Indore, Surat, carlo gavazzi Ahmedabad, Vadodara, Vapi, Tamilnadu, Carlogavazzi Maharashtra, Meanwell Kolkata, Westbengal, Udaipur, Jaipur, Carlogavazzi Punjab, Silvassa, Ludhiana, Kashmir, Carlogavazzi Goa, Jharkhand, Odisha, etc. Based on the skills of our adroit professionals and creative workers, we bring forth an extensive range of Solar Plant Monitoring System. Owing to features like durability and light in weight, the offered system is extensively demanded in the market. A team of our vendor’s adept professionals, with hard-earned experience manufacture the offered range using high grade raw material. The offered system is available with us in various sizes, designs and other related specifications. By utilizing skills of our dexterous workforce, we are offering a comprehensive assortment of PV String Monitoring System. Offered system is highly demanded in the market owing to its excellent quality raw material to ensure strength and robust construction. Our vendor’s manufacture this system by employing optimum quality raw material and sophisticated technology in adherence to the set industrial standards. Owing to features like high performance and easy installation, our offered system has been able to earn a lot of popularity in the market.